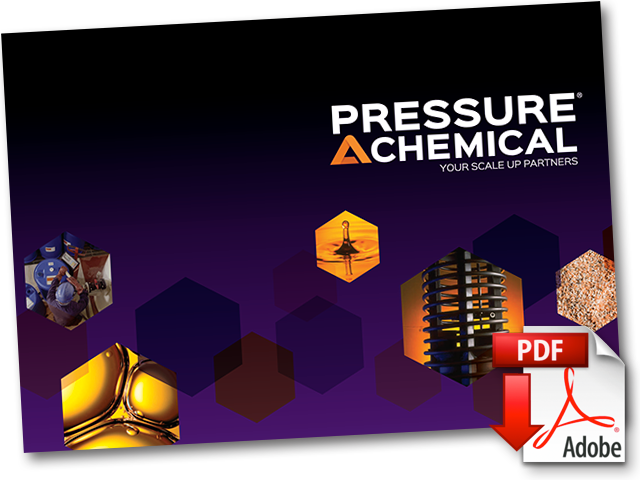 Polymerization has been a core strength for Pressure Chemical since it was founded in 1964. Many of the polymer standards that we have produced during the past 50 years remain worldwide benchmarks of commercial polymers’ characteristics and quality. Polymerization is an important first step, but the isolation of the finished polymer is often the most challenging part of the process. We have a variety of filtration and centrifugation equipment to isolate the polymer and rotary vacuum and tray drying equipment to give you the final product in the form you need. Our small scale pilot deck and larger scale commercial production facility provides multiple reactors from 50 gallons to 1,000 gallons that can be used for monomer pre-blending, polymerization and polymer isolation in one continuous process. We continue to expand our polymerization capabilities as we identify new requirements. One such case was modifying our 1,000-gallon 316 SS polymerization reactor to handle even tougher challenges. 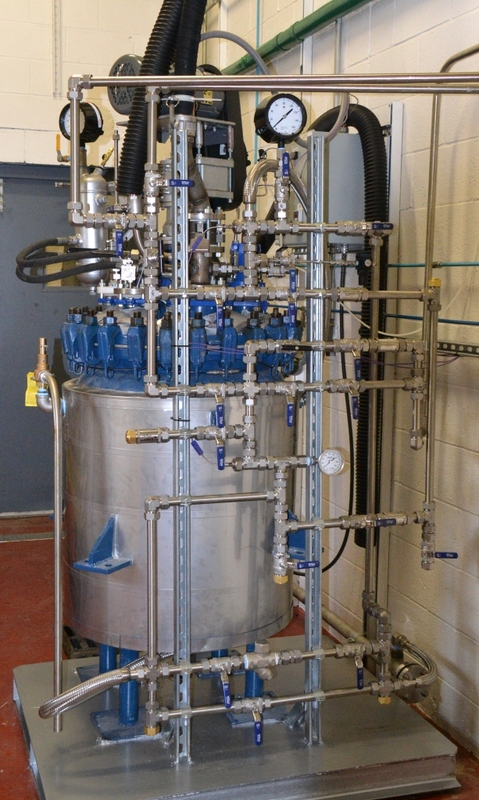 Our internal maintenance team built a loop reactor system that increased the heat transfer capabilities by 200,000 BTU. This allows us to handle exothermic reactions with greater control and safety. We can also work with gaseous and liquid monomers and have the systems in place to purify these monomers as required. If your reaction requires a flammable solvent or initiator, we can handle it safely. We can work with polymerization initiators such as alkyl lithiums, azobisisobutyronitriles (AIBN), bases, peroxides, pyrophoric metal and metal hydrides. If you already have a finished polymer, but it requires modification, we can customize your material utilizing a variety of chemistries and equipment.